Another day in Anaheim meant another visit to the happiest place on Earth... Yes, I guess we were happy most-of-the-time (when not in line, when the kiddies weren't whining about something or when I wasn't paying $8.00 for a hot dog). As we were discussing our dinner options for the night, I went on about my visit to The Boiling Crab back in San Jose. Then, it donned on me that Costanza and Elaine had never been to a seafood boil before. With all the available options in the OC, we decided that their Seafood Boil virginity would be lost at Claws (somehow that didn't sound right...). We decided to go for their $40.00 deal which included 2 appies, garlic fries and 3 lbs of seafood. 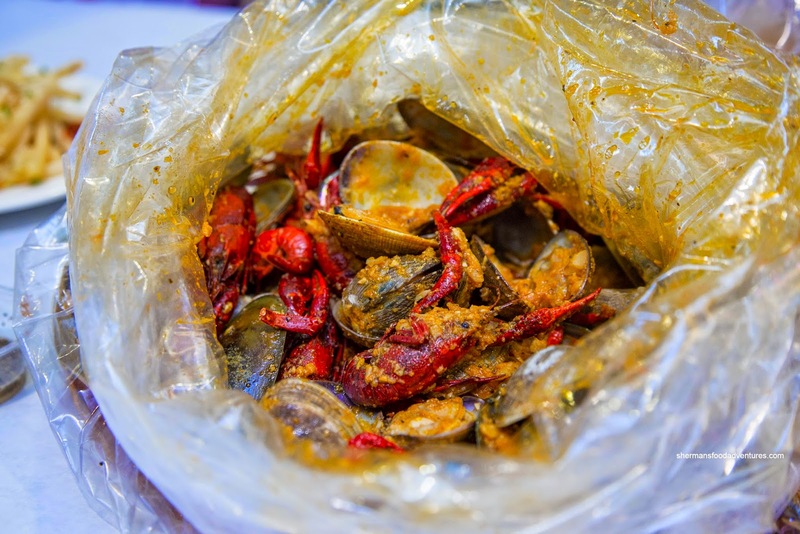 We tacked on 3 more pounds of seafood for good measure. Our appies arrived pretty quickly and we dug into the large basket of Fried Oysters first. These were crunchy while not too greasy. Inside, the oysters were of a fair size and still juicy. We weren't that impressed with the Fried Butterfly Shrimp as they were dry and didn't exhibit any shrimp texture. They were crunchy though. We liked the crispy Garlic Fries as they dumped a whole head of garlic on top. The kiddies had the Chicken Strips and Fries which were decent. 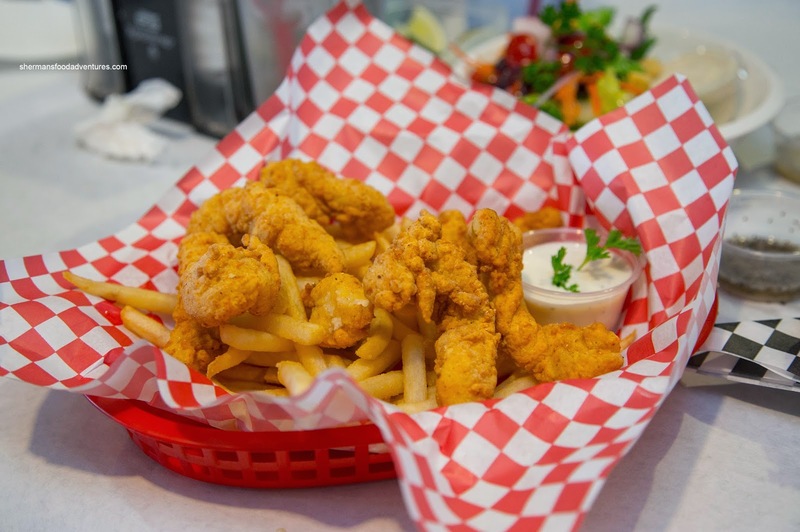 The seemingly house-made strips were comprised of breast chicken tenders that remained moist while crunchy on the outside. As for the seafood boil, we had 2lbs each of Crawfish, Clams, Mussels and Shrimp with the addition of corn, sausage and potato. Initially, we wanted crab and lobster, but they didn't have any. As for the seasoning, we had the mild Cannonball and it was plenty garlicky and gingery with only a slight spice. This was greasy, but not as much as The Boiling Crab. The clams were remarkably large and plump while the Kiwi mussels were pretty typical (as in the frozen, precooked variety). We would've liked to see honey mussels (hard to come by I suppose) instead. The crawfish were quite small and we gave up trying to eat them while the shrimp were plump and large. On the overcooked side, but still sweet, the corn segments soaked up quite a bit of the seasoning. The cuts of potato were soft, but still firm enough to retain their shape while the sausage was meaty and slightly spicy. 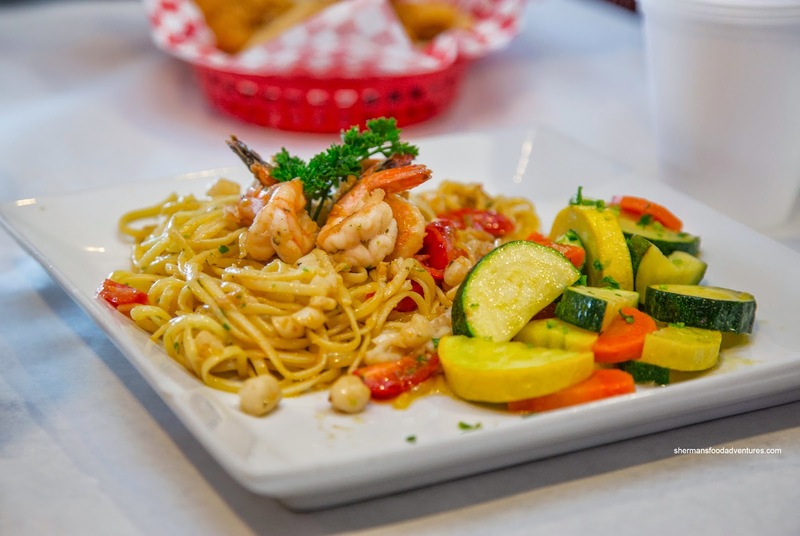 For good measure, Costanza added a Garlic Butter Pasta with shrimp, baby scallops and calamari for his kiddies. For a non-pasta joint, this was actually okay. The noodles were a bit past al dente, but not remarkably so. It was indeed garlicky and buttery with properly cooked seafood including meaty shrimp and buttery scallops. The side of zucchini and carrots were not overcooked. 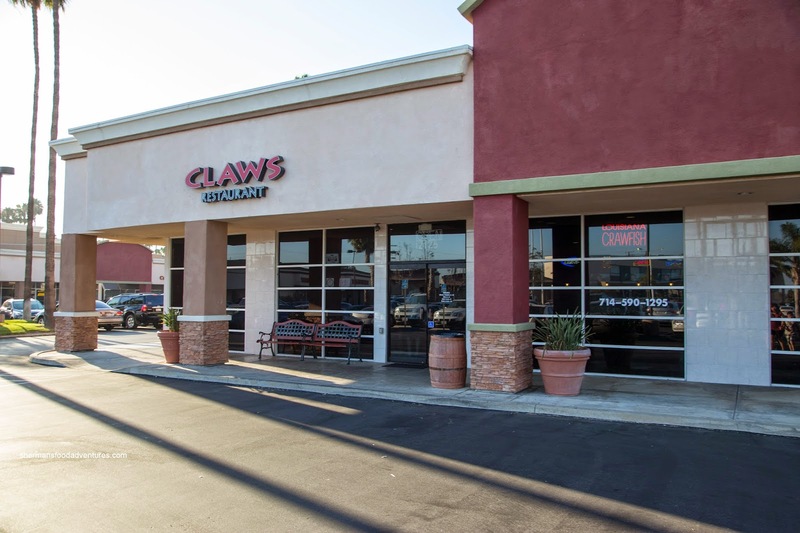 Overall, we thought our visit to Claws was pleasant. 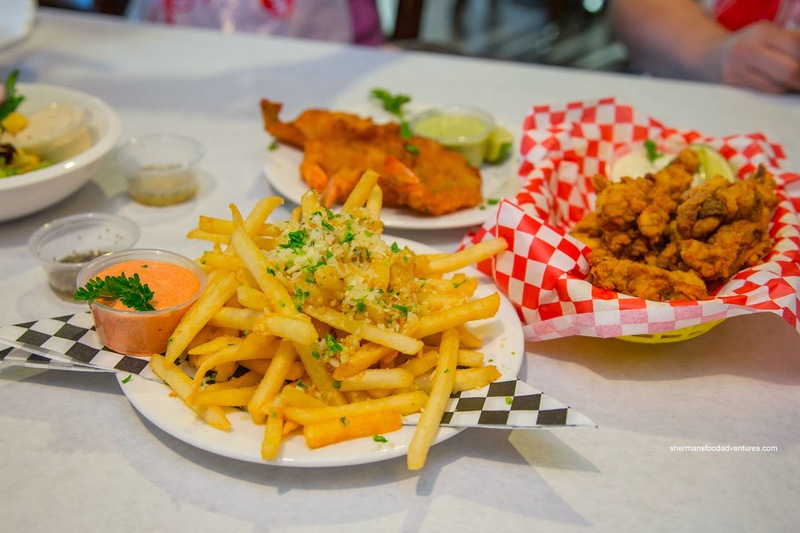 We liked how the sauce was less greasy than The Boiling Crab while the prices were okay. 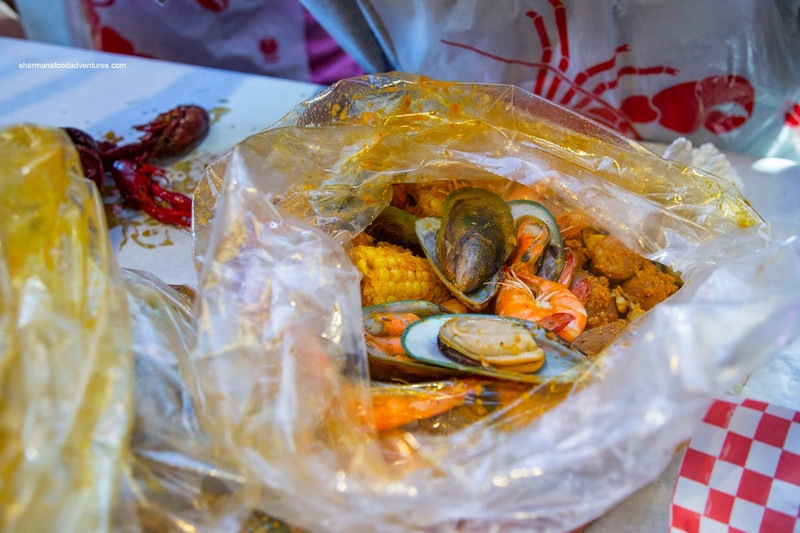 I personally still like The Boiling Crab more, but Claws is still a decent option for a seafood boil.